If there’s one model that truly evokes what it means to be an American car – as full of grit and raw power as it is refined elegance and driver-centered luxury – it’s got to be the Chevy Malibu. Known for decades worldwide as the ultimate in American auto engineering, the Chevy Malibu is an icon all its own, bringing with it a long history of excellent automotive design and envy from other drivers. That’s why we’re so impressed with how far this classic model line has come, right up to the amazing new 2017 Chevy Malibu. Clean, sophisticated, and still packing plenty of punch, the 2017 Malibu is really a sight to behold on the modern market, and with praise from drivers and critics alike resounding in the industry it’s clear the age of the impressive Malibu is far, far from over. That’s because this new 2017 Malibu comes fully loaded with a wide array of impressive improvements, from the power and efficiency of an impressive hybrid powertrain to the luxurious and driver-centered design that only a Chevy can truly deliver. Plus, with new advancements in technology there to keep you and your passengers safe out on the road, you can feel better than ever about making the 2017 Malibu your reliable daily driver for years to come. It’s just another way the Malibu – and Chevy as a whole – continues to deliver excellent vehicles valued for every American to enjoy. Here’s a quick look at some of the best new features drivers can expect from this impressive new addition to the Malibu family, and just why the 2017 Malibu might be just the vehicle you’ve been searching for to fill that empty space in your driveway. Looking for all the power and enjoyable performance you’ve come to expect from a Chevy? Hate to buy and burn so much gas just to do it? 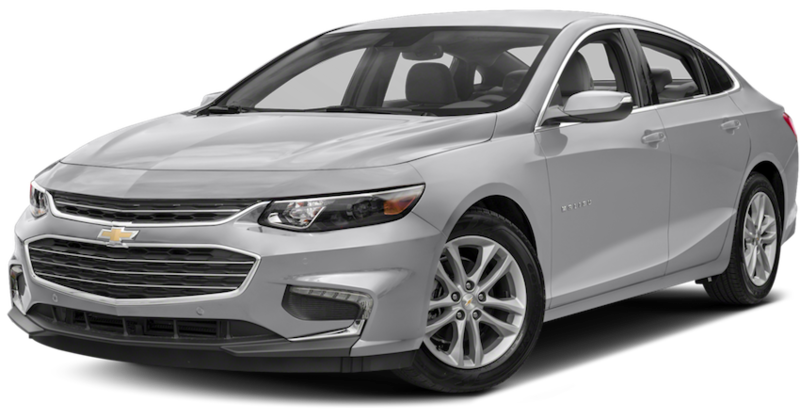 Lucky for you, the 2017 Malibu solves both problems like no other model before it, all thanks to a highly impressive hybrid powertrain available for any and all Malibu drivers looking forward rather than looking for the next pump. This Malibu’s impressive 1.8-liter two-mode hybrid engine brings the heat with up to 124 horsepower and 129 lb.-ft of torque, all while maintaining a whopping 49 city miles per gallon of fuel efficiency. That means you can keep up those crazy adventure without draining your wallet on fuel, no matter how often you may use your Malibu, Plus, this impressive system also comes with hybrid-exclusive features like the Driver Efficiency Gauge, which gives feedback on how your particular driving habits affect fuel economy. That means you can correct yourself to maximize efficiency along the way – just one more way Chevy works to keep you green and keep you from spending too much on fuel. Or, if you’re not looking to prioritize hybrid power, the Malibu also offers a turbocharged 1.5L ECOTEC engine for proven fuel-saving technology on an all-gas model, or the powerful 250-horsepower 2.0L turbocharged ECOTEC engine with a 9-speed automatic transmission, giving you smooth-shifting control over all that amazing performance. While neither will match the efficiency of the hybrid powertrain, it’s undeniable just how fun it may be to have all that power available under the pedals. Whatever your style, the 2017 Malibu is ready and able to match your needs – all thanks to the power of Chevy. Of course, having all that get-up-and-go means nothing if it’s not fun to drive – and that’s why Chevy has taken huge steps in providing a driver-centric cockpit that can keep you and all your passengers happy for miles to come. Whether it’s impressive modern technology or luxurious design that makes the difference in your drive, Chevy has you covered – and it can all be found on the 2017 Malibu. Plug in and ride on with the available Chevy MyLink infotainment system, which keeps you connected to all your favorite music, audio, and even your phone for easy connectivity on the go. 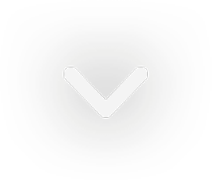 Use your hands-free voice controls to connect seamlessly with your smartphone or media device through Apple CarPlay or Android Auto and blast all your favorite tunes without ever taking your eyes off the road. Integrated USB ports and an available wireless charging pad help you and all your passengers stay powered up for the drive ahead, while the available Bose premium 9-speaker system makes sure you hear every note of your music in total concert-quality high fidelity. Step inside the Malibu and you’ll see this is so much more than just a car – it’s a comfortable space on wheels. When it comes to safety, Chevy knows that finding the right protection is second to nothing else. That’s why the 2017 Malibu comes full loaded with the suite of Chevy safety features, from 10 standard airbags to daytime running lights to make sure you’re prepared for whatever the road might throw at you. Chevy’s intuitive StabiliTrak electronic stability control system helps keep you grounded even in changing road conditions, and with it you’ll be able to take on even uncharted territory with peace of mind. Plus, the 2017 Malibu comes standard with OnStar Emergency Services, including Automatic Crash Response to make sure help is on the way no matter where trouble might find you. Luckily, Chevy also fully understands the power of preventative safety tech, which is why many of the brand’s vehicles come standard or include the option for some pretty impressive preventative tech to help you find your way. On the 2017 Malibu, drivers have the option to include a Rear Vision Camera, Front and Rear Park Assist, Forward Collision Alert with front automatic braking, and even Lane Keep Assist to help stop accidents long before they ever happen. With this kind of safety on your side you’ll be able to ride in your Malibu with total peace of mind, knowing you’re on top of the most common dangers on the road – just one more way Chevy is working to make driving safer for you and everybody else out there on the road. Whether you’re a longtime fan of the classic Malibu brand or new to the world of the Chevy sedan, there’s perhaps no model more impressive and worthy of its recognition than the new 2017 Chevy Malibu. Built strong and ready for the road ahead, it’s no wonder this impressive Chevy won J.D Powers “Most Dependable Mid-Size Car” – and, from what it seems, drivers have been more than pleased with everything this impressive Chevy has to offer. 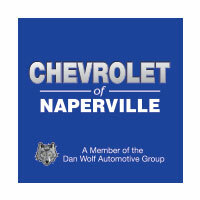 If you’re ready to get yourself into a new 2017 Chevy Malibu of your very own, there’s no better place to do it in the Naperville Area than Chevy of Naperville. Stocked with an expert and friendly staff, we’re here to help you find and bring home the Chevy that’s right for you. Head on down and try out a Malibu for your very own and you just may see why so many drivers are talking about the new upgrades to this time-honored Chevy model. Try one for yourself and see just how much the new Malibu brings to the table – and don’t be surprised to find yourself wanting one of your very own after you’ve had a ride in one of these amazing Chevy vehicles.